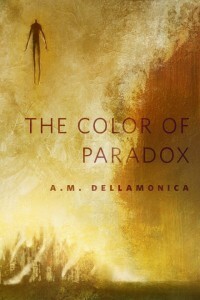 Posts about my published short fiction and any works underway. Verdanii is the most powerful of the great nations, and everybody knows, much as they pretend to be a nation of citizen democrats, that the Allmother is the heart and soul of that mighty and often arrogant isle. To have seen her in the flesh, me, a twelve-year-old from across the sea—it’s so fantastical that I rarely brag of it. Only my mother believes me. Her head was round and bald and capped in dandelion fluff, a thick slurr of white seed-bearing parasols that whirled off her in every twist of breeze. She was tall, broad-shouldered, generous of hip and bosom, and she moved like a strongman or wrestler. She smelled, ever so slightly, of milk. She bore a harvest-scythe and a small sack of grain in her big hands, and her face carried so much age that the years thrummed around her like the low boom of an elephant drum. My breath caught, to see life in the eyes of one so frighteningly old. It made my chest hurt. She weighed and dismissed me with a glance, closing on Garland with brisk steps. 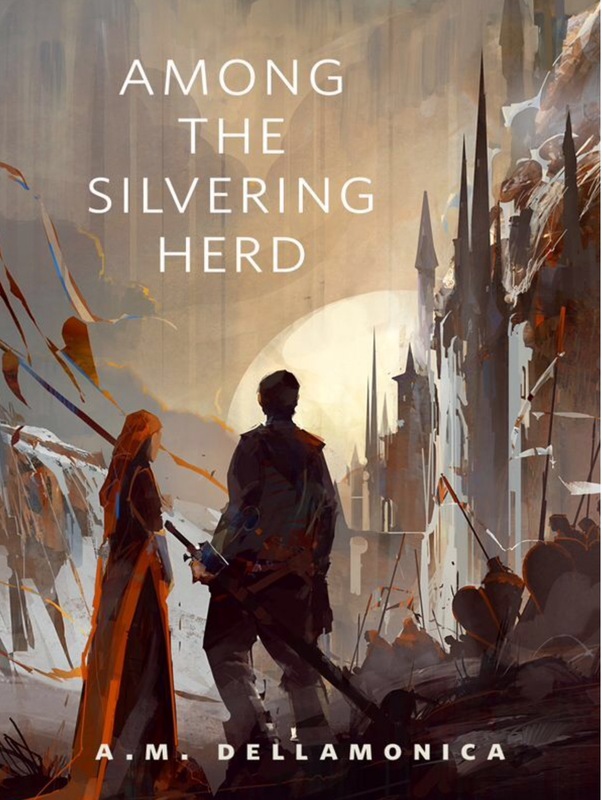 She tipped up his chin with the scythe—testing his nerve, I thought—and gave him the sort of looking-over you might expect of a buyer in a slave market. My Boy is the fifth of the series I call The Gales, a group of stories about Gale Feliachild and Captain Garland Parrish of the sailing vessel Nightjar*. These are set over a decade before the events of my novel Child of a Hidden Sea . 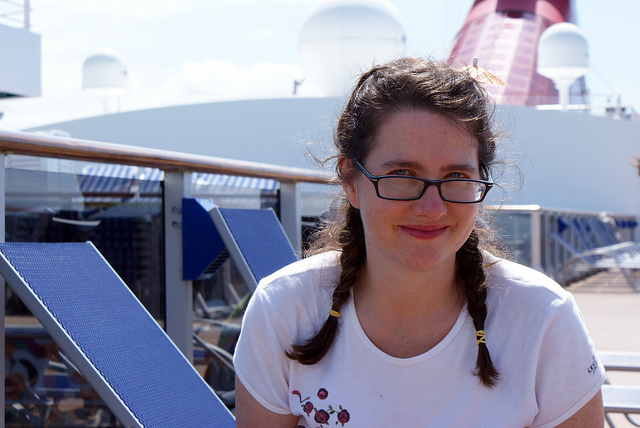 My other, more facetious name for them is the adventures of Doctor Who, at sea, with her very pretty companion. Tonio’s good company, and this story is a confection for those of you who have been shipping Bram and Tonio. There’s a piece of bitter chocolate at its heart, too, about Gale’s prophesied death. 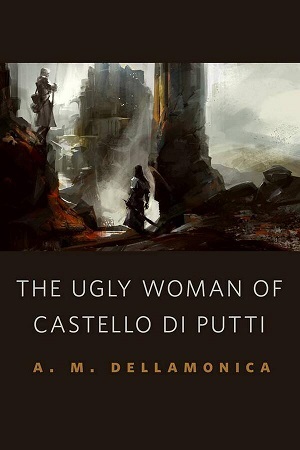 The first three stories in the series are Among the Silvering Herd , The Ugly Woman of Castello di Putti , and most recently The Glass Galago . 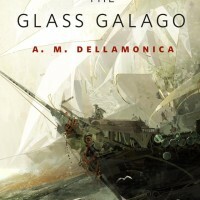 They’re available at the Tor.com site for free reading, or as ebooks. The fourth, “Losing Heart Among the Tall,” will be up at Tor.com on February 22nd, 2017. Yes, this means they’ll be going up out of order. It’s not a big thing; they are not that tightly bound together that you can’t enjoy them out of sequence. 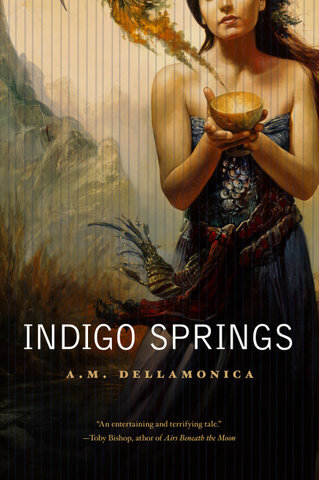 Kelly, meanwhile, has a kickass essay about being a late bloomer up at Clarkesworld and a Locus Magazine spotlight interview!. The two of us will be in Ottawa at Cancon in a couple weeks’ time, and I will post my panel info soon. New story! “Tribes,” in Strangers Among Us. 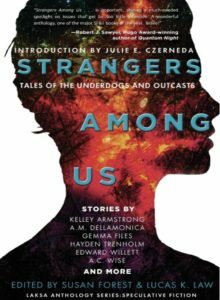 Strangers Among Us: Tales of the Underdogs and Outcasts is newly out from Laksa Media. Edited by Susan Forest and Lucas K. Law, it has stories by Kelley Armstrong, Suzanne Church, Gemma Files, James Alan Gardner, Bev Geddes, Erika Holt, Tyler Keevil, Rich Larson, Derwin Mak, Mahtab Narsimhan, Sherry Peters, Ursula Pflug, Robert Runte, Lorina Stephens, Amanda Sun, Hayden Trenholm, Edward Willet and A.C. Wise. The intro was written by Julie E. Czerneda. My own story, “Tribes,” might be said to be about sweeping your problems under a rather large rug. I have only had my contributor’s copy in the house for a day, so I’ve barely dipped into the stories here. But it’s an exciting ToC, and a cool project, and I’m delighted to have been a part of it. 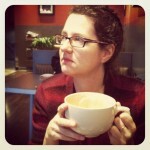 This entry was posted in Appearances, My Short Stories, Uncategorized. (The fourth, “Losing Heart among the Tall,” is also slated to appear on Tor.com). This sale may mean the stories will appear out of order, depending on publication dates. This is no great problem. They’re like a family; you can meet them out of birth order. I love this story, and have been reading bits of it for years at queer-themed events. I’m thrilled about this sale, and excited about you all getting to read it. 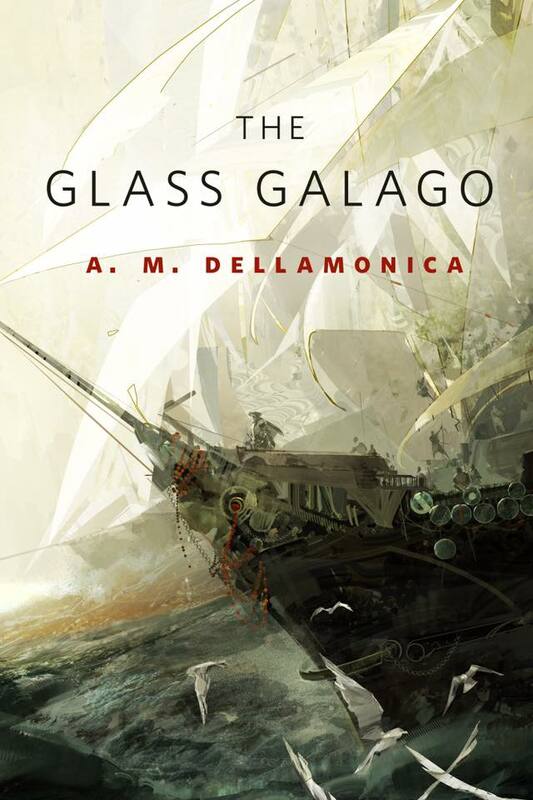 On Wednesday the third of the Gales, “The Glass Galago,” will be launching at Tor.com. (The first two Gales are “Among the Silvering Herd ” and “The Ugly Woman of Castello di Putti” .) 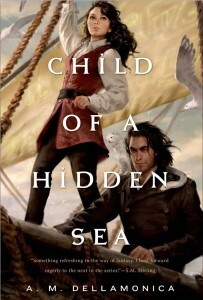 This new story takes Gale Feliachild and Garland Parrish to the Fleet itself. It’s not the first visit for either of them, obviously, but it’s their first time together. Gale learns a little more about what it was that got Garland disgraced and kicked out of the service. I hope you guys like it. I was offline a fair bit during the holidays: didn’t eschew Facebook or Twitter, by any means, but I definitely spent more of my waking hours away from the computer. When I was working, it was often on fiction. There’s a proposal I’m pulling together for what might be my next ecofantasy novel; its working title is Tom the Liar, largely because in my head the main character shares some traits with the Hiddleston Loki. My editors have also sent some notes back on The Nature of a Pirate, so I’m keen to buckle down to revisions. 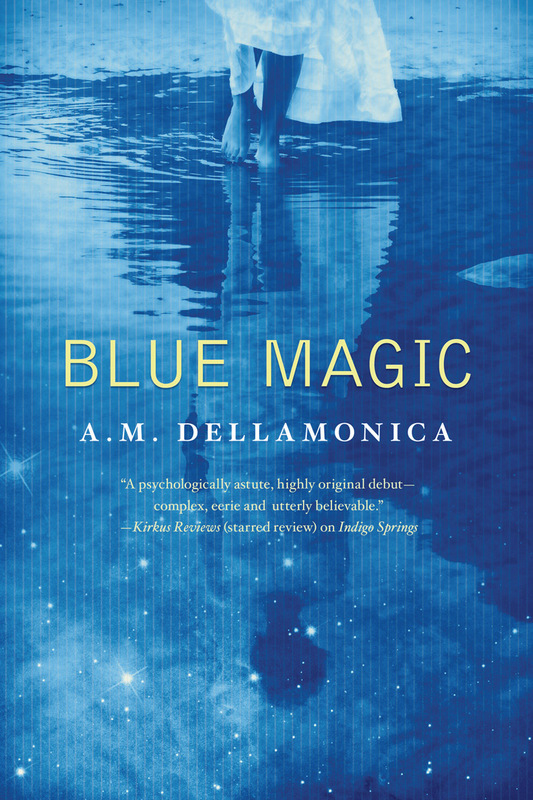 I worked on setting up a spring book tour, and should be announcing dates soon. I thought about some teaching stuff and tried mightily to finish reading David Jaher’s The Witch of Lime Street: Séance, Seduction, and Houdini in the Spirit World, but didn’t quite get that done before the new year. The holidays themselves were low-key and pleasant. There was some sleeping in, some feasting, some wonderful time spent with friends. And now it’s snowing in Toronto, and 2016 has come, and I am looking forward to a year filled with wonders and surprises.